If you're looking for a solid pair of comfortable skates then the 5th Element Panther XT Inline Skates are the ones for you. Priced just right with a ton of features to provide you with stellar performance, there's just nothing like these awesome skates at this price point. It boasts a subtle yet cool style and the comforts to match. An Aluminum Chassis is great for power transfer so you won't get fatigued as early and the Soft Boot will keep your feet in good shape. The 82mm wheels will provide some ample speed without the effort and the 82A durometer is perfect for indoor and outdoor skating. Lock yourself in with the laces, strap and buckle and have all the support and stability you need. ABEC 7 Bearings offer precision and speed with each stride. Excellent for the first timers and beginners so you can learn the basics of inline skating at a price that is very wallet-friendly, the 5th Element Panther XT Inline Skates boasts tons of value without compromising fun. Please note the weight limit for these skates is 190 lbs. Premium Aluminum Chassis - Offers great power transfer reducing fatigue, allowing you to spend more time out on your skates. Wheel Size and Set Up - 82mm wheels provide enough speed without exerting too much effort, and the 82A durometer allows you to skate both indoors and out. Stability and Support - Lock in with traditional laces, a buckle and hook and loop strap for three times the ankle support and foot stability that you need. Can Accommodate Most Skaters - The 5th Element Panther XT Inline Skates have a weight limit of 190 lb. 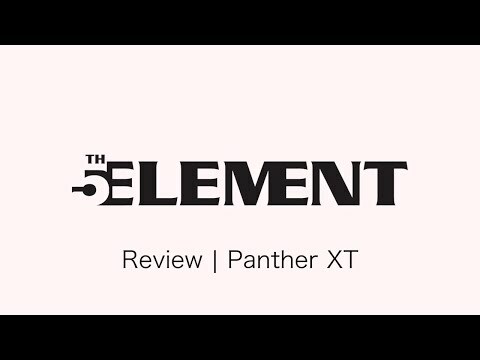 5th Element Panther XT Inline Skates 2019. Great skate for an excellent price. It is comfortable, and the skating is a real pleasure. Good riding and smooth. I would suggest going a half size or next size up unless you really like a snug fit.cant wait to put some mileage on these skates. A: This specific skate (the Panther) is a men's skate and is sized in men's sizing. There is women's specific models in the 5th Element line, the 5th Element Lynx and the 5th Element Stella, which are sized in women's shoe sizes. Q: Can these inline skates skate on rough/bumpy roads? A: The 82mm wheel is sufficient for most spotty concrete or asphalt but is best off on smoother surfaces. The larger wheeled skates 90mm, 100mm, etc will glide over imperfections in the skating surface a bit easier. Q: I wear a size 11 in shoes will I choose the same size in rollerblades? A: Yes, most all inline skates including this model can be taken in the same size as your standard shoe size. Some higher end models can be sized down for a more performance fit but most all fitness and recreational skates can be sized same as shoe. Q: Are the brakes on these removable? A: Brake can be removed but you would need to replace the long axle with a shorter one which is not provided. You could order one by calling customer service. Typically skaters using a beginner to intermediate skate do not remove the brake. Q: i usually skate on a rough asphalt surface, which damaged the bearings within a couple of uses. what grade bearing would be best suited for my needs? A: Rough surfaces shouldn't really damage the bearings but may damage wheels if the surface is really poor. Water is really the most detrimental thing to stay away from. The majority of all bearings are sealed nowadays, we offer great bearings from K2 and Rollerblade which are fairly inexpensive. For moderate speed a SG5, ABEC 5, ILQ 5 will work great, for more smoothness and speed move up to the SG7, ABEC 7 or ILQ 7. The SG, ILG, and ABEC names are just names, the bearing rating #'s are what you want to look for, the higher the number the more precise the bearings. Q: Do you have replacement wheels for this? One of mine fell off and I can't find it. A: We don't currently stock the 82mm size in a replacement. We do however have 80mm wheels in stock for replacement. These are available in 8packs so you can replace all the wheels at a relatively low cost, unless you can find the wheel this is what I'd recommend doing. A great replacement for this skate's wheels would be the Rollerblade Performance 80mm 82A wheels, these will offer great performance and a similar feel to the wheels that originally came on the skate. Q: Are the wheels rubber or plastic? A: These are rubbery goodness for sure. Most all inline skate wheels are made up of urethane which is a high performance rubber compound that is durable and grippy for inline skating. The only skates that you will find plastic wheels are extremely inexpensive skates found at big box stores, not found on this website. A: The Panther offers 82mm wheels and Abec 7 bearings so they are in no terms a slouch of a skate. You will be able to get up to pretty good speeds with these skates but keep in mind they are beginner to intermediate level skates so they are geared towards comfort in learning rather than all out performance. Q: Are the sizes based on a female or males foot? A: These are men's skate sizes. For women's sizing you will want to drop a full size down. A: We do not list the brake pads for the 5th Element Panther XT skates online (nor for any of our 5th Element skates), however we do have the replacement brake pads available at our office. If you contact our customer care team with the original order number and the shipping address, we can have a replacement brake pad shipped out to you directly!